New: Added "Hybrid Disc" page in Settings window. User can specify which layer to be shown by default: CD, DVD, Blu-ray or HD-DVD, or "Ask before opening the disc". New: Added "Drives" in Settings window, user can specify the drives which should be processed. For example, user can exclude DVDFab virtual drive from processing. Fix: A crash problem on Windows XP in certain cases. Fix: Several problems with Intel Quick Sync when converting. Fix: Two small issues when playing preview automatically. Fix: Preview still play audio when converting. Fix: Improved "Set as default" for profile. Fix: Two issues for commandline parsing. New: Improved "ask region" logic, which will ask user only when needed. New: Added 5.1 channels audio output for Xbox 360 and iPod/iPhone. Fix: Converted MP4 file cannot be played on PS3 with latest firmware. Fix: No idx/sub files output when using vob.passthrough profile. New: Added new feature to select correct main playlist for certain discs like "Source Code" which has many fake playlists. New: The "Main playlist" was written to "Info" window and internal log. New: Added three options for "How to copy Blu-ray 3D": "Copy as Blu-ray 3D", "Copy as Blu-ray 2D" and "Convert to Blu-ray SBS 3D". New: Added new feature "Copy as Blu-ray 3D" which is actually the "Clone" feature of Blu-ray 3D disc, for easy to use. New: Added new feature "Convert to Blu-ray SBS 3D". User can copy a Blu-ray 3D disc to BD25/BD9/BD5, play it on normal standalone 2D player, and watch it on a 3D TV. New: Added new feature "Convert DTS/LPCM to AC3 audio". It improves compatibility when user copy a Blu-ray disc to BD9/BD5 (AVCHD). New: Brand new UDF 2.50 parser. New: Brand new m2ts muxer which is fully Blu-ray compatible. New: Improved seek ability for VC1 video source. Fix: Seek problem in certain cases. Fix: TMT playback problem for certain Blu-ray discs. Fix: Two small issues when burning protected disc (BDMV-REC) using VSO burning engine. 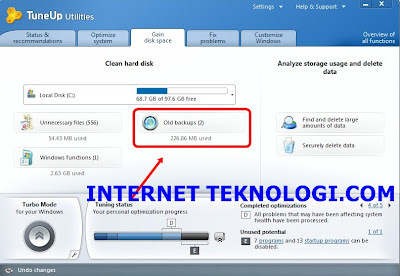 Fix: Intel Quick Sync problem when converting Blu-ray to PS3. Fix: A/V sync problem when using CoreAVC decoder. Fix: Cannot convert small title which is less than 2 minutes. Fix: An oversize problem when user choosing multiple audio and subpicture streams. Silahkan Download DVDFab All-In-One 8.1.1.2 Trial Disini , Lalu install sampai selesai. 4 orang berkomentar on "Download DVDFab All-In-One 8.1.1.2 Qt Final Full Version Rilisan 8 Agustus 2011"
Yang selama ini saya cari akhirnya ditemukan. Tp kenapa patchnya ga jalan? 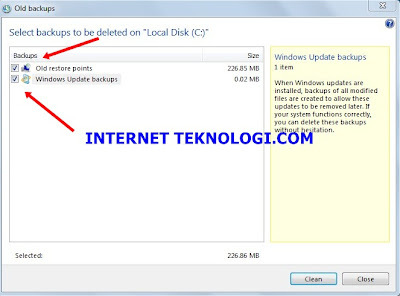 Sdh berulang kali diinstall (ada yang rusak pada msvcp90.dll) Stlh di uninstal ada file yg ga bisa kehapus/tertinggal (DVDFabShellEx.dll) Bagaimana cara menghapusnya? Ga jalan. Stlh dipatch ada peringatan :The procedure entry point_fseeki64 could not be located in dynamic link library msvcr90.dll ??? ?